Dr. Cesar R. Sabates has been offering general dentistry, cosmetic dentistry, and implantology services to his patients for over twenty years. He brings a combination of training, experience, judgment and skills to meet your specific needs. He provides a personal and comfortable environment and is known for his gentle care. Find out more information about Dr. Sabates. From professional teeth whitening to dental implants, Dr. Sabates offers all the dental services you need for that perfect smile! View all the dental services that he offers to his patients. Dr. Sabates offers the latest professional teeth whitening "Zoom" that leaves your teeth looking whiter and amazing in less than an hour. 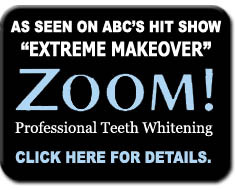 Zoom Professional Teeth Whitening is a safe and effective dental procedure that is long lasting, fast, and convenient. You will be completely satisfied with your new whiter and brighter smile! Schedule an appointment now so you too can have stunning white teeth. Dr. Sabates specializes in dental implants. Dental implants are designed to offer a foundation for replacement teeth that appear, feel, and function like natural teeth. If you are interested in getting dental implants, then please contact Dr. Sabates' office today at (305) 448-7217 to arrange your implant consultation. Dr. Sabates' office is conveniently located at 747 Ponce De Leon Blvd, Suite 609, Coral Gables, FL 33134. If you would like to find more about his dental services or would like to schedule your appointment by phone, please contact his office at (305) 448-7217. 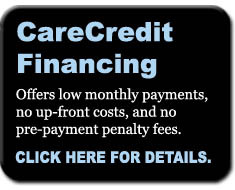 Dr. Sabates' office is open Monday through Thursday from 8:30 am to 6:00 pm. 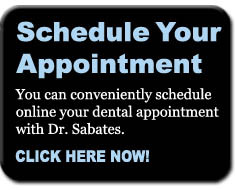 Click here if you would like to get driving directions to Dr. Sabates' dental office.